Taxify is adjusting its prices to help drivers who are making less money because of the fuel hike. 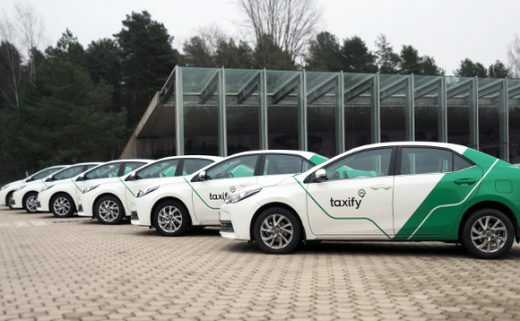 Taxify has announced it’ll be changing some of its tariffs to help its drivers earn better wages in the wake of this month’s fuel price hike. “Trips will now be calculated at R0.75 per minute, and the cost a kilometre is now R7.50. The base fare of R5 remains unchanged, as does the minimum fare of R20,” Taxify said in a statement. Fuel rose by 82 cents a litre and diesel to between 85 and 87 cents a litre more. In Gauteng, a litre of 93 petrol will now costs R15.54. The price hike has been blamed on the falling rand against international currencies, and the rise in the price of crude oil. While commuters have been hit hard, ride-sharing app taxi drivers are really feeling the heat. Some Uber and Taxify drivers have reported that, thanks to the rise in fuel prices, their earnings have fallen drastically – and in some cases have halved. On top of that, many drivers in the industry depend on tourists for a large portion of their income and as the winter months stretch on ahead, their situation is starting to look bleak. Earlier this week, Uber drivers staged a protest at Zoo Lake in Gauteng and many more drivers, from both Uber and Taxify, vowed to go offline unless the imbalance between fares and petrol prices was addressed. “We always consider driver economics in each of the cities that we operate in and after years of global experience, what we‘ve seen in cities across the world is that lower fares mean greater demand, lower pickup times and more trips per hour – increasing earning potential and creating better economics for drivers,” said Samantha Allenberg, Uber spokesperson. “We’re committed to supporting the men and women who drive with Uber across South Africa, and we understand that fuel is one of the biggest weekly expenses for drivers, which is why drivers can access rewards that help them reduce costs and keep more of their earnings. “This exclusive programme provides deals such fuel rebates, cellphone deals, maintenance and health care. We also continuously provide tips to drivers on how to reduce the amount of petrol they use and ultimately increase their profits on Uber,” she added.